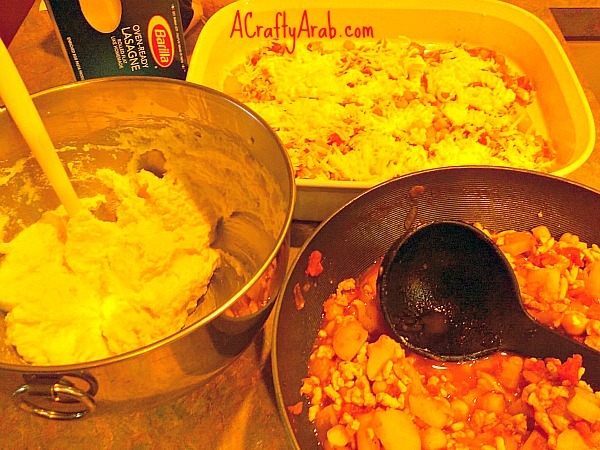 Recently, when my mother was visiting, we decided to try out a new Hot Algerian Lasagna recipe. We spent the afternoon cooking with my daughters and it was very special. You can find the ingredients for the dish here. 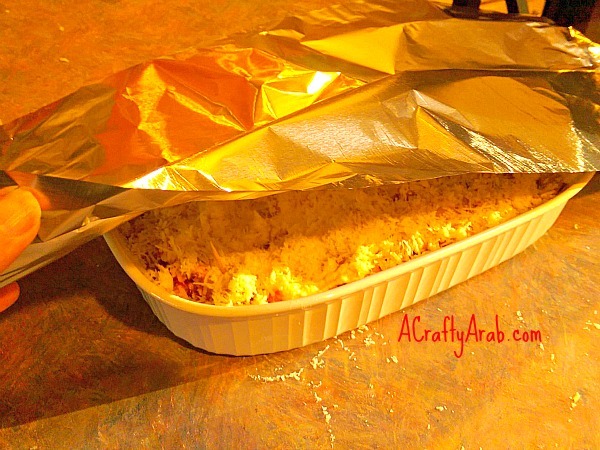 I had never made lasagna with no boil sheets, so we took photos to show you how easy this delicious dish is to make. We placed our chicken in a large pan and cooked it to brown, adding a bit of olive oil so that it doesn’t burn. After it was cooked, we placed it in a bowl and set it aside. 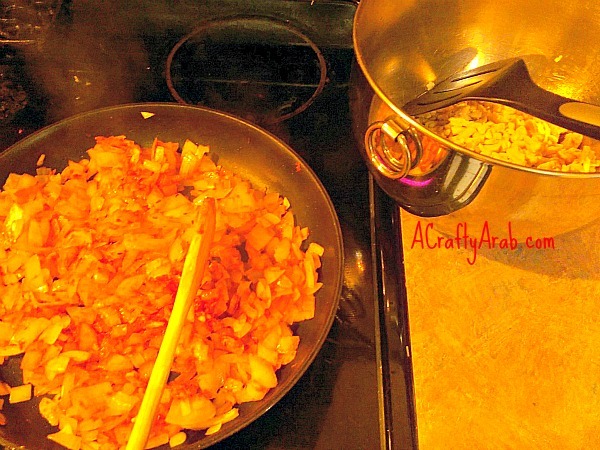 We then sauteed onions and added garlic, cayenne, cumin, caraway, and tomato paste. We decided not to add the harissa, but to have it on the side if anyone wanted to add it later. 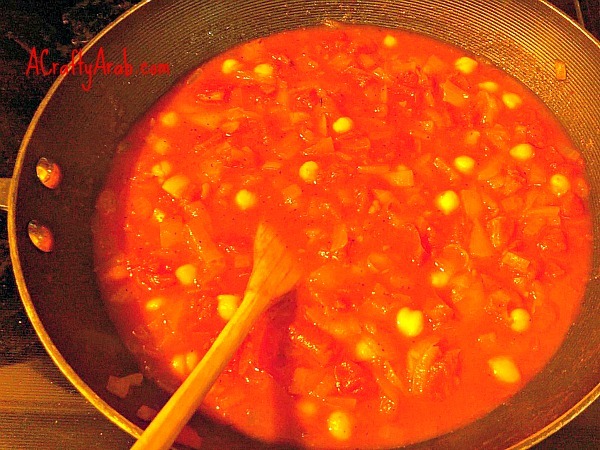 After a few minutes, we added the tomato puree, chickpeas, and water and let that simmer uncovered for 10 minutes. Once that simmered, we added the potatoes and chicken and let that cook for about half an hour. We knew it was done when the potatoes became tender. While that was cooking on the stove, we turned on the oven to preheat to 350. 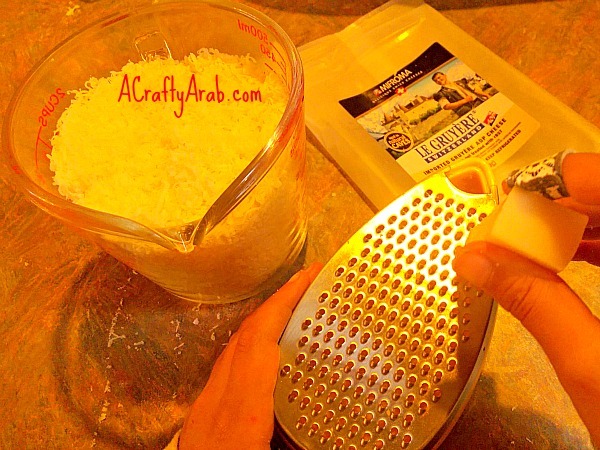 We then shredded 1 cup of Gruyere cheese. We mixed it with the ricotta and egg. We also added a tiny bit of salt. Now it was time to put it all together! We sprayed the bottom of our lasagna pan with olive oil. 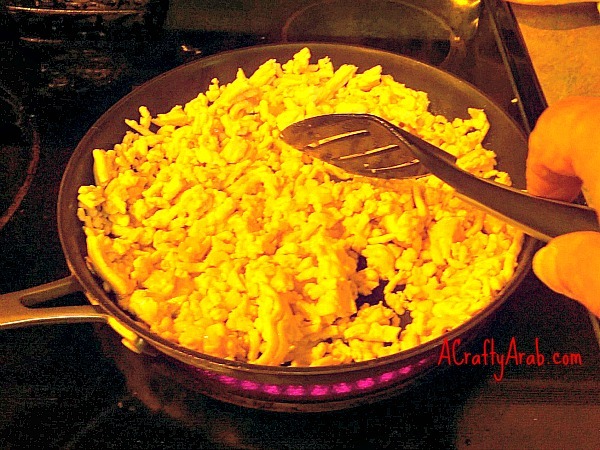 We then added a layer of the no bake sheets, then a layer of the meat then the cheese. We repeated this a few times until we ran out of mixtures/sheets. 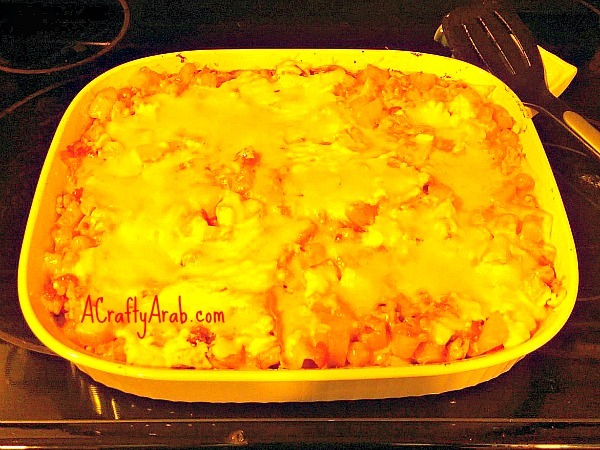 For the very top, we added a final layer of 1 cup Gruyere cheese and 1 cup mozzarella cheese. We added toothpicks so that that foil does not stick to the cheese. We baked it for 45 minutes in our oven. Your oven times might vary. This was the hardest part: we had to let it cool for 30 minutes when it came out. It was so delicious, the girls loved it, but wished it had more color. I think this might be due to that fact that we eat a lot of Asian food here in the Northwest and they are used to seeing broccoli, red peppers, etc. But they have asked to have it again and can’t wait to help put another one together. 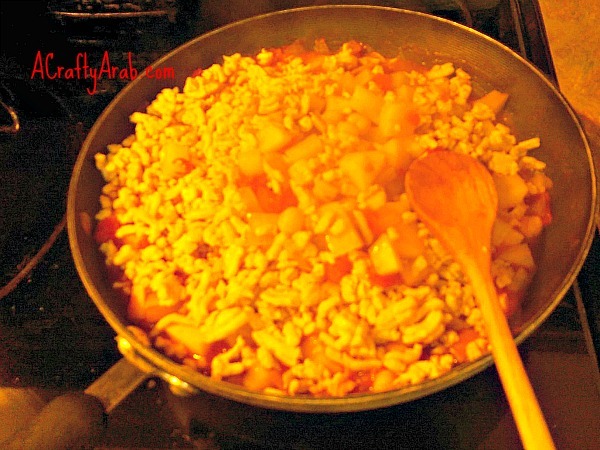 Check out more recipes by Global Table Adventures, be sure to visit Multicultural Kids Blog for tons of great ideas on global food travels. 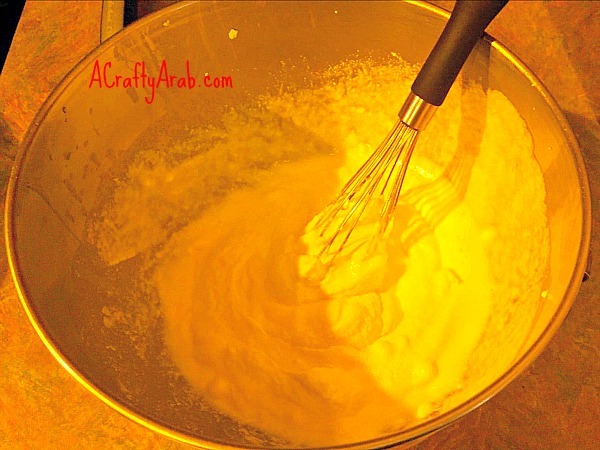 Visit A Crafty Arab on Pinterest to see more.